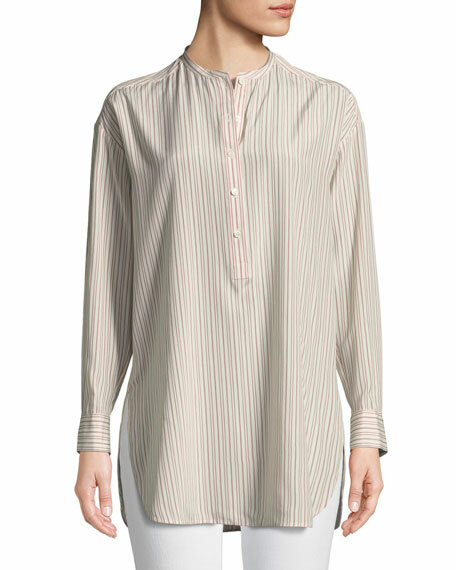 Loro Piana "Cathy" blouse in finely striped, lightweight silk crepe. Approx. 32"L from shoulder to hem (size 6). 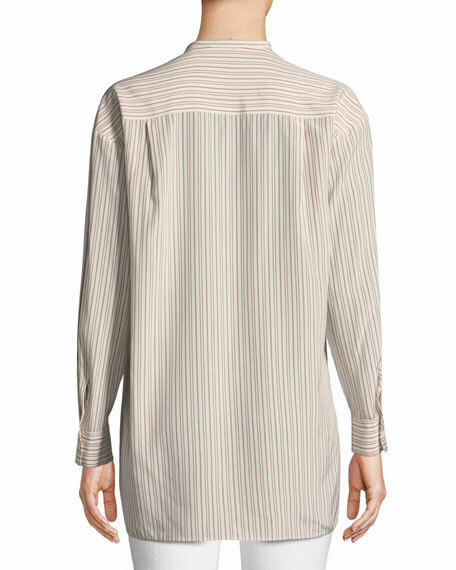 Banded collar; partial button placket. For in-store inquiries, use sku #2439388.